Elder abuse is a complex issue that often requires a multifaceted policy response that combines public health interventions, social services programs, and criminal law enforcement for abusive behavior. To address this complexity, the Elder Justice Act was enacted as part of the Patient Protection and Affordable Care Act. The act attempts to provide a coordinated federal response by emphasizing various public health and social service approaches to the prevention, detection, and treatment of elder abuse. 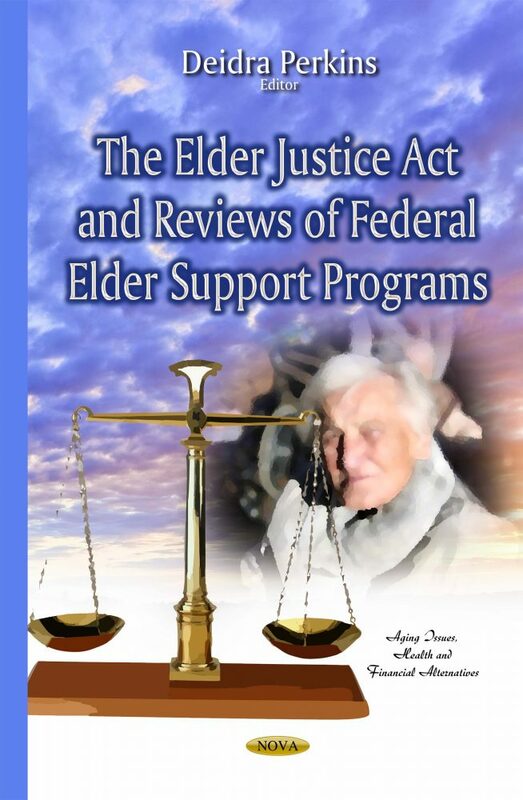 The Elder Justice Act also represents Congress’s first attempt at comprehensive legislation to address abuse, neglect, and exploitation of the elderly at the federal level. This book provides a brief legislative history of the Elder Justice Act, summarizes elder justice provisions enacted as part of ACA, and administrative efforts related to implementation and funding. The book then describes several issues for Congress with respect to the act’s reauthorization.